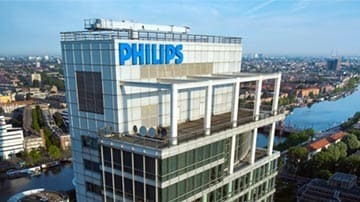 Multi-Center Clinical Validation Study by Philips to be Submitted to FDA in Support of Expanded Indications for Use for Philips IntelliSite Digital Pathology Solution in the U.S.
Join the conversation and stay up to date with the latest innovations and news in pathology by following @Philips_Path. At Philips, we want to improve the quality of people’s lives through meaningful innovation. Connect with us to not miss a thing and join in with the conversation. Discover how Philips delivers innovation that matters. Choose from a selection of videos to learn more about Philips Digital & Computational Pathology.